Dogs are commonly known as ‘a man’s best friend’, so it comes as no surprise that these loveable, loyal canines play vital roles in supporting people with disabilities. The first known example of a special relationship between a dog and a blind person was depicted in a first-century AD mural in the ruins of Roman Herculaneum. 1931 two amazing British pioneers, Muriel Crooke and Rosamund Bond, organised the training of the first four British guide dogs from a humble lock up garage in Wallasey, Merseyside. Today Guide Dogs is the world’s largest breeder and trainer of working dogs. 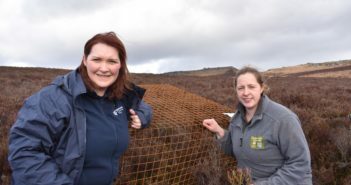 More than 29,000 people have been helped by the charity to achieve life-changing independence. And now, Toyota GB are excited to be supporting the charity with their work, and have proudly presented Banjo, one of the four puppies who’ll be supported by the company throughout their guide dog training. Toyota GB has a two-year partnership with the Guide Dogs charity, as part of its aim to improve mobility for all. 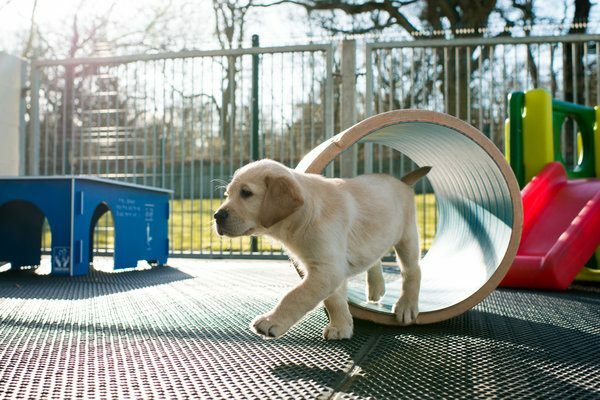 Banjo, a seven week old Golden Retriever x Labrador dog, is introduced in a new film (below) showing him starting his training at the Guide Dogs National Breeding Centre in Bishop’s Tachbrook, Leamington. It costs £41,000 to train a guide dog and just over £55,000 to support a guide dog throughout its working life. 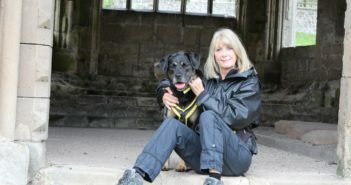 Funds raised by Toyota GB will provide life-long support for Banjo and will also support the training of three other guide dog puppies named Genchi, Poppy and Elsie. 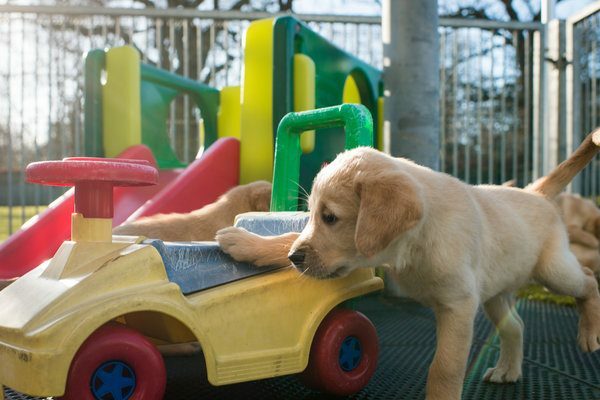 Guide dog puppies like Banjo spend a week of socialisation and habituation at the Guide Dogs National Breeding Centre. This is a really important part of their journey to become fully-fledged guide dogs, as well socialised pups are typically happier, friendlier, and more predictable and are better able to handle stress. The puppies are introduced to a range of different visual, auditory and tactile stimuli and also interact with a variety of different people and explore their surroundings, indoors and outdoors. They are also handled and stroked with different textured materials and play with soft, hard and noisy toys. The puppies also hear different sounds such as washing machines, phones, radio, TV, alarm clocks, keys jangling and bags rustling, so they become desensitised to everyday sounds. 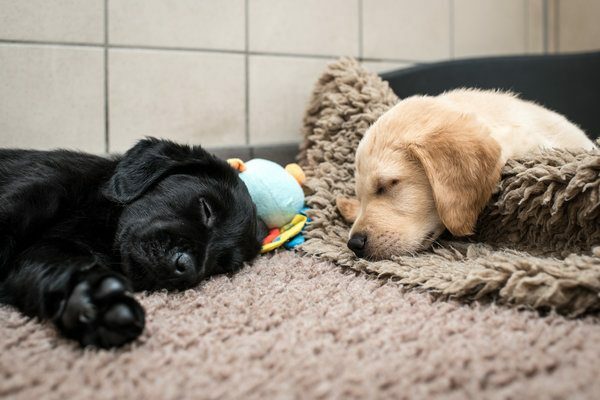 They also get to enjoy lots of play with their siblings and after a week at the breeding centre they join a puppy walker to become acclimatised to everyday life until they are ready to start their guide dog training at 12 – 14 months of age. At two years of age most guide dogs are ready to be matched with someone living with sight loss. Guide Dogs have a very high success rate in training and placing guide dogs, however, inevitably a few dogs prove to be unsuitable for being a guide dog and these may go on to become other types of assistance dogs.